TORONTO – Two years ago, Remembrance Day celebrations across the country took on a special significance, as Canadians honoured 100 years since the beginning of Canada’s involvement in the Great War (1914-1918). 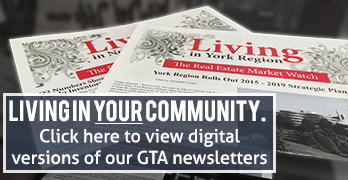 2016, however, represents the centennial of one of the city’s most interesting “home front” stories – that of the Distillery District, a collection of heritage buildings located in the heart of Toronto’s Corktown / West Don Lands neighbourhood. By the turn of the 20th century, Gooderham & Worts’ distillery complex had grown into an impressive collection of buildings – one that counted warehouses, mills, cooperages, malting facilities, and even a fire “pump house” among its assets. The distillery’s growth was dealt a blow, however, by 1916’s passing of the Ontario Temperance Act – a package of laws that banned liquor production across the province, so that industrial resources could be refocused towards the war (which Canada had entered into, alongside Britain, two years prior). According to a historical account prepared by the Distillery District’s heritage team, the Gooderham family – many of whose members had already enlisted overseas by 1916 – chose to strike a deal with the Imperial Munitions Board, which organized and oversaw the construction of Canadian war materials. 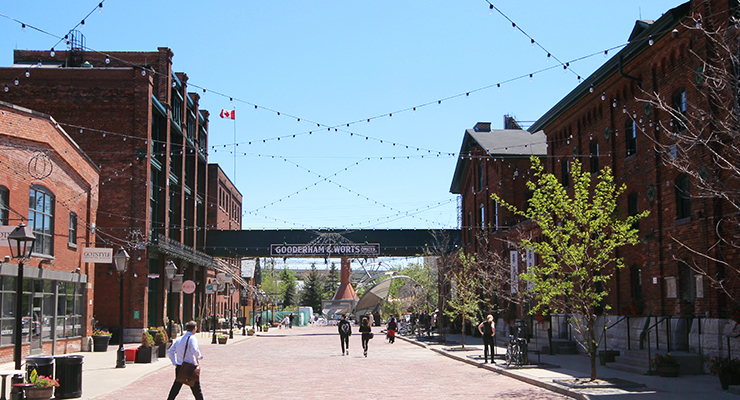 In May of that year, the Distillery District grounds were taken over by a new company entitled “British Acetones Toronto Limited,” with Col. Albert E. Gooderham kept on as manager. Assisted by specialists shipped in from England, the firm manufactured acetone and cordite ketone – the two key ingredients used to make smokeless gunpowder – using a synthetic acetone fermentation process that quickly put them among the most productive facilities on Canada’s home front. “During the first fifteen months of operation, we shipped 2,162,000 pounds of acetone,” Col. Gooderham himself noted in a 1919 staff report. By the time the war ended in November 1918, British Acetone had been responsible for 60 per cent of the acetone produced in the British Empire – not to mention the more than two million bushels of corn that had been ground by its millstones during the same span. After the war was over, Ontario’s government did not immediately repeal prohibition – leading Gooderham & Worts’ ownership to sell their distilling interests to Harry C. Hatch in 1923. Under Hatch, the Distillery District returned to its former glory and beyond, adding its largest rack house to date – a seven-storey structure build to hold 40,000 barrels – just four years later. Gooderham would go on to become an early president of what would become the Toronto Symphony Orchestra, and shortly before his death in 1935, was appointed Knight Commander of the Order of St. Michael and St. George. While the Distillery District itself does not host an official Remembrance Day ceremony, those interested in visiting the district on November 11 can pay their respects just steps away, at the annual ceremony held outside of the Little Trinity Church (425 King St. E., at Trinity Street).